Mariah and Austin met while in high school. They’ve been together for seven years and officially became husband and wife on Saturday. 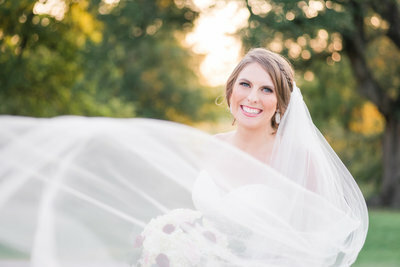 It was a joy to be their Cedar Skies Barn wedding photographer! I’ve had a photographer crush on these two since their Laguna Gloria engagement photos and at-home Christmas baking engagement session that we shot last month. That day let me know a few things: 1. These two LOVE details! 2. They have fabulous style! 3. They’re really fun to be around and are just as beautiful on the inside as they are on the outside. Mariah’s Badgley Mischka bridal heels might be my favorite pair! How cute are Mariah and her sister, Kayla?!? Kayla’s kiddos are the sweet flower girl and ring bearer! You can tell that Mariah just ADORES her niece and nephew! Mariah’s mom got a bit tear-y eyed seeing her baby girl dressed up as a bride on her wedding day at Cedar Skies Barn! Mariah gifted her niece, and flower girl, a handkerchief that can be her something old on her wedding day in a couple of decades. Family means everything to Mariah and she made sure to love on them on her wedding day. Mariah shared a first look with her dad and they were both crying before they even saw each other. It was the SWEETEST! Then, it was her bridesmaids turn to have their first look at the bride! Mariah gifted Austin cufflinks on their wedding day. One had their wedding date inscribed while the other read “the best day ever!” Just before the ceremony, Austin’s groomsmen said a prayer over him and the new marriage that was starting this day. I love that Dylan was upstairs in the bridal suite with Mariah and her sister when the ceremony was starting. I was at the front of the aisle capturing the wedding party, so he is free to get these sweet candid moments. 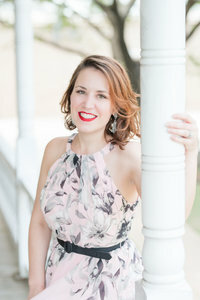 It’s these cherished shots that makes having a second photographer on your wedding day so important! 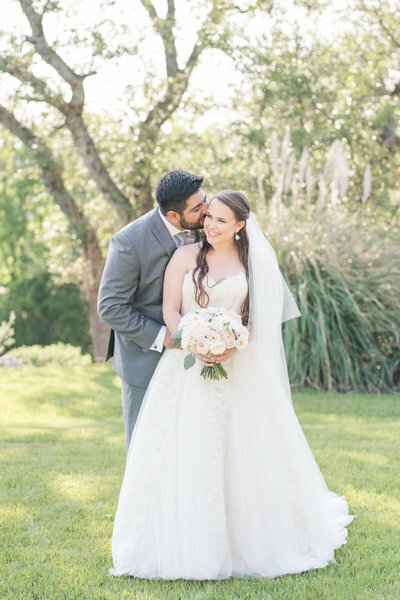 Austin lost it when he saw Mariah for the first time at their Cedar Skies barn wedding! It was the cutest! Again, Dylan is so great about these candid moments! How cute are these sisters?!? Seriously, though?!? It may have been a bit cold (and windy) on their January wedding day. This entire wedding party was legit model status! Mariah had the cutest fur wrap and denim jacket to keep her warm on their winter wedding day! 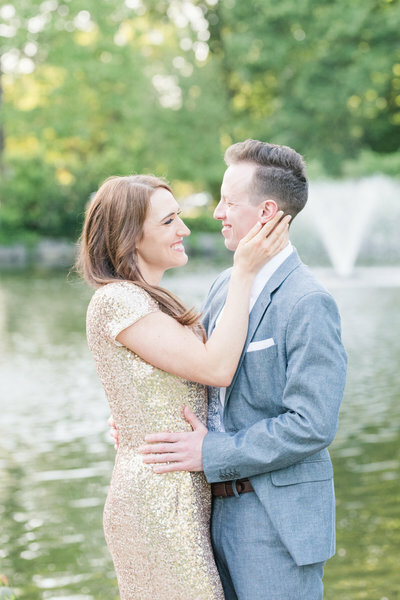 You can totally understand my photographer crush on these two, right?!?! They’re both beautiful (inside and out), have the best style, and are just FUN to be around! 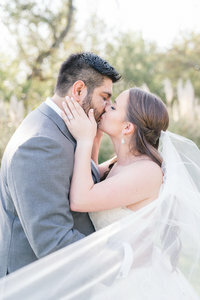 I’m SO THANKFUL to have been their Cedar Skies Barn wedding photographer! Mariah and Austin’s burgundy and navy wedding reception was held inside Cedar Skies Barn, part of Log Country Cove in Burnet. The cake topper was the same one her parents’ had at their wedding. The coffee and cocoa bar was a hit at their winter wedding, but the crowd favorite had to be the shots of Fireball! Instead of a typical wedding toast to the bride and groom, guests enjoyed Fireball shots! It definitely set the tone for a PARTY! Mariah and Austin – we have so much love for the two of you!! Thank you for inviting us to capture such a special season for y’all and your sweet families! 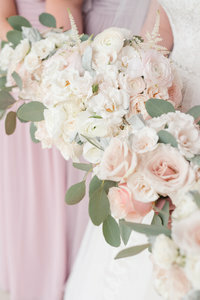 It was our JOY to be your Cedar Skies Barn wedding photographer! We wish y’all the absolute best!